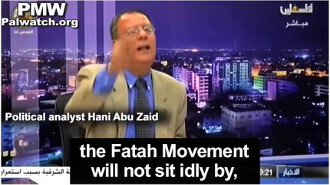 Fatah: "My rifle's fire is the death of the enemies and music to my ears"
and music to my ears"
Fatah will return to "armed struggle,"
Contradicting PA Chairman Abbas' assurances to international audiences that Palestinians want peace, his Fatah Movement continues to promote violence and terror as Palestinian ideals. 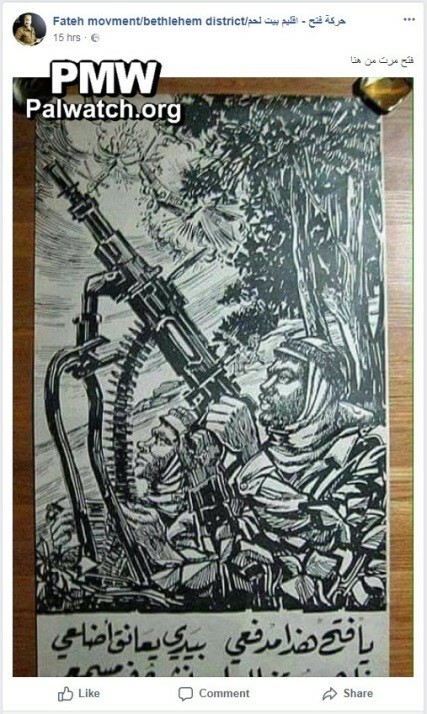 Posted text: "Fatah was here"
Text on image: "O Fatah, this is my rifle in my hand hugging my ribs, and its fire is the death of the enemies and music to my ears"
"Our conviction is deep and our position is clear regarding the use of arms of any kind. We... are also opposed to conventional weapons, which have caused such vast destruction of States in our region and around the world. We have thus been committed to fostering a culture of peace, rejection of violence..."
"This is the last chance for the president's [Abbas'] initiative, and it should be benefited from, because if the conditions change and the situation changes, the Fatah Movement will not sit idly by, but will bring back armed struggle once again. There are many voices and many calls and the Israeli public opinion needs to understand this." 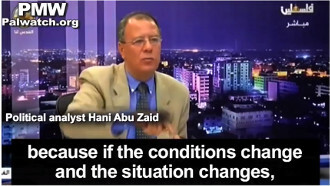 PMW has documented Abbas' and the PA's duplicity. Last year, when the PA was hoping to ignite violence against Israel, official PA TV rebroadcast Abbas' implicit call for violence, which in 2014 sparked the wave of Palestinian terror attacks.